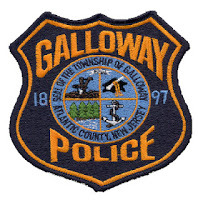 According to Galloway Township Police, an early morning accident on Pitney Road results in both drivers being transported to Atlanticare Regional Medical Center with moderate injuries. At 10:06 am, a vehicle driven by Harvey Brownstein, 57 of Galloway, was traveling north of Pitney Road when he made a u-turn in front a vehicle being driven by Elianys Walker, 34 of Brigantine. Walker was traveling south on Pitney Road when the collision occurred. According to Police, both drivers had moderate injuries and were transported to Atlanticare Regional, Mainland Division for treatment. Brownstein had a chest injury and Walker had a knee injury. The road was closed for approximately 45 minutes.